Darrell Lepkowsky, Administrative Law Judge (ALJ), Office of Administrative Hearings (OAH), State of California, heard this matter in Yucaipa, California, on August 2931, and September 1, 6, and 7, 2011. 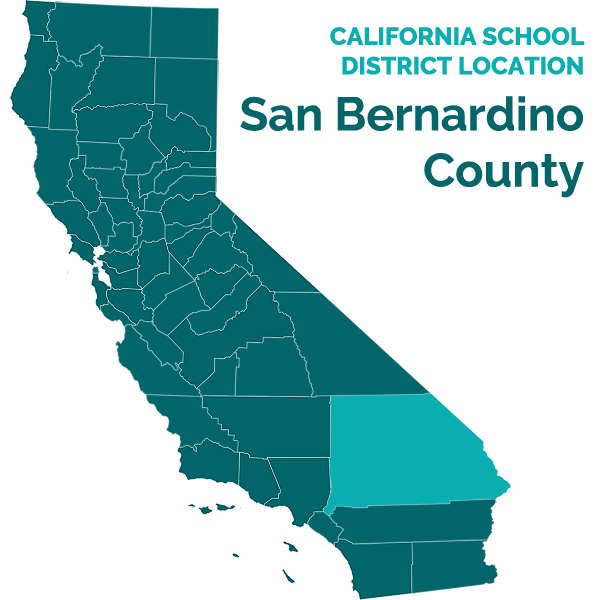 Cynthia D. Vargas, Attorney at Law, represented the Yucaipa-Calimesa Joint Unified School District (District) and the East Valley Special Education Local Plan Area (SELPA) (the District and the SELPA will be referred to collectively as the District in this Decision). Patty Metheny, the District’s Director of Student Services, and Laura Chism, a Due Process Program Manager for the SELPA, were present for the entire hearing. Student’s mother (Mother) represented Student. Mother was present for the entire hearing. A Spanish language interpreter was present throughout the hearing for Mother and her witnesses. OAH deemed the District’s amended complaint filed on June 27, 2011. OAH granted the District’s request for continuance at the first prehearing conference held on July 11, 2011. Student then requested a continuance, which OAH granted on July 20, 2011. The hearing began on schedule on August 29, 2011. Did the District appropriately determine at the individualized education program meetings held on October 14, 2010, and January 18 and February 7, 2011, that Student was not eligible for special education and related services? The District requests an order finding that its assessments of Student were proper and that Student does not qualify for special education and related services. The District conducted a multi-disciplinary assessment of Student upon referral from Mother and Student’s doctor in the fall of 2010. It conducted another assessment at Mother’s request in the winter of 2010-2011. At individualized education program (IEP) meetings held after the District completed each multi-disciplinary assessment, the District IEP team members determined that Student did not qualify for special education and related services either due to any speech and language deficits, any pre-academic deficits, any adaptive deficits, or any social/behavioral issues. The District contends that it appropriately assessed Student in all areas of suspected disability, which were speech and language impairment, pre-academic deficits, and social/behavioral/adaptive issues. The District asserts that its assessors properly conducted Student’s assessments in a manner that complied with federal and state law; therefore, its assessments were accurate and valid. It contends that Student’s speech and language, adaptive, social/behavioral, and pre-academic levels were sufficient in order for her to be able to progress in her education in a general education preschool classroom without special education support. The District asserts that based on all information available to it at the time of the IEP meetings, it properly found that Student did not qualify for special education services. Student contends that she qualifies for special education services in the category of speech or language impairment or due to pre-academic or adaptive deficits. Student maintains that her expressive speech abilities, at the time of the District’s assessments, were so deficient as to make her speech unintelligible to the majority of listeners. Student also maintains that the District’s assessments demonstrate that she qualified for special education, particularly under the category of speech and language impairment, based upon her low scores on the District’s speech and language assessments. Student further contends that, contrary to the District’s position, she is not bilingual in English and Spanish. Rather, Student contended at hearing that her primary language is English, that she should not have been assessed at all in Spanish, and that the District’s assessment results, particularly on its speech and language assessments, were not valid because the District assessed Student in both languages. Based upon all evidence presented at the hearing, this Decision finds that the District appropriately assessed Student in all areas of suspected disability. This Decision also finds that the District properly determined that Student did not qualify for special education services at the time the District held Student’s IEP meetings on October 14, 2010, and January 18 and February 7, 2011. 1. Student was born on April 21, 2007. She lives with Mother and one of her older brothers within the boundaries of the Yucaipa-Calimesa Joint Unified School District. She has another brother who is studying at a university outside of California. Student’s parents are separated, but her father visits the family about once a week. Student has never been found eligible for special education services. 2. Both English and Spanish are spoken in Student’s home. Student’s father and brother primarily speak to Student in English. Mother primarily spoke to Student in Spanish. However, as Student has become older, she is becoming more comfortable speaking English rather than Spanish. Even when Mother or others speak to Student in Spanish, she tends to answer in English. For this reason, Mother is using English more and more with Student. 3. Student had an older sister who tragically passed away in January 2010, when the sister was in her early 20’s. Student, who was just over two and a half years old at the time, had strong emotional reactions to the loss of her sister. She began having more tantrums and did not like being at home. She began having problems sleeping at night, was scared easily, became frustrated more easily, and cried more often. 4. Mother began having concerns about Student’s speech and language skills because neither she nor others were able to understand much of Student’s speech. Mother was also concerned because by the age of three, Student was not able to count independently. Student’s doctor suggested that Mother have Student assessed. 5. Mother contacted the District’s Early Childhood Education Center on June 3, 2010, the day before the District’s 2009-2010 school year ended, to request that the District assess Student. 6. As part of the intake process, an employee from the Early Childhood Education Center filled out an intake form, noting Mother’s concerns for Student. Mother indicated that she had speech and language concerns about Student because Student: had difficulty following directions, expressing her needs and wants, could not combine three words together to make a verbal response, and did not respond appropriately to directions. Mother also indicated that Student, however, was able to imitate sounds, could state her own name, spoke clearly, did not grunt or use gestures more than words, and did not have a stuttering problem. 7. In the area of pre-academic abilities, Mother indicated that Student could turn pages in a book, could say numbers but not count in order, and could scribble, but could not draw simple shapes. 8. In the area of social/behavioral needs, Mother indicated that Student had a sleep disturbance, preferred to play alone, was easily distracted, became angry easily, and had tantrums. Mother indicated that Student’s sister had passed away about five months earlier and that as a result, Student did not like being at home. Mother did not indicate that Student had any self-help concerns. At the time, Mother had not started toilet-training Student. 9. Mother indicated on the intake form that Student’s primary language was Spanish. 10. District speech and language pathologist Christine Ocampo reviewed the intake form and immediately developed an assessment plan for Student. Since Student had never attended school at the time Mother requested the assessment, the only means the District had for developing the assessment plan was based upon Mother’s responses on the intake form indicating the areas of concerns she had for Student. Based upon those concerns, the District proposed assessing Student in pre-academic achievement, cognitive development/learning ability, perception/processing/memory, language/speech development, social/emotional/behavioral development, and health/medical development in the areas of vision and hearing. The District also proposed conducting observations of Student and interviews with Mother, as well as doing a review of Student’s records. 11. The District’s summer break started the day after Mother requested the District to assess Student. The District initially provided an assessment plan to Mother by mailing it around June 4, 2010. However, Mother did not return it. The District therefore provided Mother with another assessment plan on August 19, 2010, about four days after its summer break concluded. Mother immediately signed the assessment plan, giving the District permission to conduct all the proposed assessments. Mother did not request or suggest any additional assessments. 12. In order for a student to be eligible for special education, the student must be assessed by the school district, and the IEP team, including the student’s parents, must review the assessments and, first, determine that the student has a qualifying educational disability. Secondly, the IEP team must determine that the degree of the student’s impairment is such that she requires instruction or services which cannot be provided with modification of the regular school program so as to enable the child to benefit fully from instruction. 13. An assessment must be conducted by persons who are knowledgeable and competent to perform the assessment, as determined by the school district. Tests and assessment materials must be used for purposes for which they are valid and reliable, administered in conformance with the instructions provided by the producer of the tests, and in the language and form most likely to yield accurate information. No single measure can be used as the sole criterion for determining whether a student is eligible for special education services. An IEP meeting to review the assessment results must occur within 60 days of receipt of parental consent for the assessment. 14. The District administered a multidisciplinary assessment to Student on August 31 and October 12, 2010. The assessment was conducted by speech language pathologists (SLP’s) Christina Ocampo (who speaks some Spanish) and Joanne Mathews, with assistance from SLP intern Ruth Marquez, who is bilingual in English and Spanish; school psychologist Claudia Martinez, who is also bilingual in English and Spanish; and a health technician. The District administered the following assessments to Student: the Mullen Scales of Early Learning – AGS Edition (Mullens); the Goldman-Fristoe Test of Articulation – 2 (GFTA-2); the Khan-Lewis Phonological Analysis – 2 (KLPA-2); the Preschool Language Scale – 4 in Spanish (PLS-4); a language sample; a vision and health screening; an oral motor examination; a record’s review; a health and developmental review; and a parent interview. The results of the health assessments are not issue in this case. 15. The assessment team observed Student during both test dates. On August 31, 2010, Student was more tired and required more breaks than she did on October 10. She was only able to focus for very short periods of time before wanting to do something other than the assessment, and cried when frustrated with tasks required of her. However, Student responded well to encouragement and sought out praise. The assessors allowed her to take frequent breaks and instituted a reward system, which worked well during the testing process. Student was particularly unengaged during the receptive and expressive language portions of the Mullens. The assessors believed that she might not have been putting forward her best efforts and that the test scores therefore had to be interpreted with caution. 16. During the assessment process, Student was able to scribble with a pencil using a modified tripod hold, including scribbling in a circular motion. On one occasion, she was able to copy a circle within a circle. She was able to say some numbers in Spanish, although not in order. Student could properly turn the pages of a book, and could point and label pictures in it. Although she could state her name, she could not identify it in written form. 18. As part of the multidisciplinary assessment, the District conducted various speech and language assessments in order to determine if Student had any language deficits. District SLP Christine Ocampo, conducted the majority of the speech and language assessment on August 31, 2010. She received her master’s degree in communicative disorders from the University of Redlands in May 2010. She began working with the District in January 2010, while she was doing her internship studies as part of her master’s degree. She has a rehabilitative services credential and a state license as a speech and language pathologist. She is about to complete her certificate of clinical competence (also known as the “Three C’s), which is a national credential under the auspices of the American Speech-Language Hearing Association. In the year and a half since she has worked as an SLP, Ms. Ocampo has administered over 60 assessments to children. She also worked for four years as an autism therapist prior to starting her master’s degree studies. In total, she has over eight years of experience working with children with special needs. Ms. Ocampo administered the portion of the Mullens which relates to speech and language. The remaining portions were administered by school psychologist Claudia Martinez. Additionally, Ms. Ocampo administered an oral-motor examination, the GFTA-2 and the KLPA-2 to Student. She also collected the language sample. 19. At the time of the assessments conducted on August 31, 2010, Student was three years, four months old. She had never attended school at the time these assessments were conducted. 20. The oral-motor examination is an informal assessment that is used to assess a child’s structure and function of her speech mechanism. The assessor reviews the child’s face, jaw, and mouth, and has the child imitate a number of mouth functions to see if the child is capable of doing them. The functions are necessary in order to speak properly. Ms. Ocampo noted that Student’s face symmetry and breathing were normal, as were her jaw position and movements. She noted that Student’s dental occlusion and teeth were also normal. Student was able to pucker her lips properly. She was also able tip her tongue up, down, to the left, to the right, and to the side. The only action that Student was not able to do was to puff her cheeks out when asked to do so. Based on the results of this informal test, Ms. Ocampo determined that Student demonstrated adequate strength, coordination, and range of motion for speech production. 21. The GFTA-2 is a standardized test which assesses a child’s articulation as it compares to other children of the same age. The child is shown a picture and asked to pronounce what she sees. However, this test only assesses pronunciation, not whether the child knows what the picture is. The assessors can therefore prompt the child and ask that she imitate the word. The assessors record the child’s responses and note pronunciation errors. Student was given the instructions on how to do this test in Spanish, but she was also cued in English. Student would sometimes respond in English and sometimes in Spanish. Student often did not know the English label for pictures shown to her. Student omitted a number of sounds in her speech that were expected for her age. However, she also omitted the sounds of the letters h, b, and d during the test, which was not expected for her age. Because of these omissions, Student’s age equivalency on the GFTA-2 was only two years, one month. 22. Ms. Ocampo also used the KLPA-2 to assess Student’s speech. This assessment uses the results from the GFTA-2 to determine the phonological processes present in a child’s speech. Phonological processes are rule-based changes that children develop in their pronunciation in order to simplify speech, such as omitting syllables. All children use these phonological processes as they learn to speak but the simplifying process of sounds lessens as the child matures and learns to use correct English rules for speech. Most of the phonological processes Student utilized, such as cluster simplification (an example is omitting the “r” in the word “tree”) was appropriate for her age of three years, four months. Student did use three processes that are generally extinguished by age three: deletion of final consonants (such as the “s” in the word “house”), initial voicing of consonants (making a “g/k” sound at the beginning for the word “cup”), and final devoicing of sounds. However, Student’s frequency of use of these phonological processes was only 27 percent, four percent, and three percent, respectively. Therefore, Ms. Ocampo did not believe that these omissions were of any concern. 23. Most importantly, Student’s spontaneous language sample indicated that she properly used many of the sounds omitted during the formal assessments. For the language sample, Ms. Ocampo noted some 50 sets of words used by Student in order to determine Student’s Mean Length of Utterance, which is the average number of words and word markings a student uses properly in spontaneous connected speech. Student’s Mean Length of Utterance was 3.24 words, which was typical for her age level. 24. Ms. Ocampo also administered the receptive and expressive language sections of the Mullens to Student on August 31, 2010. The test instructions were given to Student in Spanish by school psychologist Claudia Martinez, who is fluent in English and Spanish. The receptive language section measures how well a child is able to understand spoken language. The expressive language section measures the child’s ability to produce language, formulate sentences, and communicate it. Student scored very low on both the receptive and expressive portions of the Mullens, only in the first percentile,1 placing her at an age equivalent of only 26 months for receptive language and 27 months for expressive language. 25. Ms. Ocampo did not believe that Student’s low scores on the language portion of the Mullens were significant because it was just one test and Student’s Mean Length of Utterance on her spontaneous language sample put her in the average range of speech for a child of her age. Additionally, Student’s pronunciation in spontaneous language was about 73 percent intelligible, also placing her in the average range for her age. However, since the criteria for determining whether a child qualifies for special education services due to a speech and language impairment includes an analysis of whether the child scores in the seventh percentile or below on two or more tests that measure the same area of language, and Student’s results on the language sample and the Mullens had been so different, the District decided that it would be appropriate to administer another language test to Student. 26. Ms. Ocampo chose to administer the PLS-4 in Spanish to Student, a speech and language test which, like the Mullens, assesses a child’s receptive and expressive language skills. However, Ms. Ocampo went on maternity leave before the test could be given to Student. Therefore, District SLP Joanne Mathews was selected to administer the test. Ms. Mathews is a California licensed SLP, who has her Three C’s certificate. She has a bachelor’s degree in communicative disorders and a master’s degree in clinical speech pathology. Ms. Mathews has been an SLP for over 16 years, the last six of which have been with the District. She has assessed hundreds of children in the area of speech and language deficits, about three-fourths of whom ultimately qualified for special education services. 27. Ms. Mathews is not bilingual in English and Spanish. She therefore had an SLP intern named Ruth Marquez, who is fluent in English and Spanish, administer the PLS-4 to Student while Ms. Mathews supervised. As an SLP intern, Ms. Marquez was qualified to administer the test under the supervision of a licensed SLP. 28. Ms. Mathews noted that Student was able to attend to tasks during the administration of the PLS-4, and was able to complete the test. Since the test was given in Spanish, Student was responding primarily in Spanish. Like the Mullens, the PLS-4 measures receptive and expressive language skills. In the area of auditory comprehension, which is the receptive language portion of the PLS-4, Student was able to identify clothing items on herself, identify parts of other objects (like a car’s door), understand descriptive concepts like big and small, and understand quantities, such as some or all. She was also able to understand the concept of more, was able to recognize actions in pictures (such as sleeping and eating), and was able to understand using objects (such as being able to identify what you use to cook food). Student had difficulty with understanding pronouns such as me and his, and understanding up and down. Her overall auditory comprehension score placed her in the 55th percentile, in the average range. 29. In the area of expressive language on the PLS-4, Student was able to name objects in photographs (such as ball and spoon), was able to combine three to four words in spontaneous speech (such as “I got flowers”), and, pursuant to reports from Mother, was able to answer questions logically and to use the present progressive form of verbs (such as “the girl is eating”). Student had difficulty answering “what” and “where” questions (such as “what is the boy holding?”), using quantity concepts (such as “lots”), and using possessive forms (such as “her cat”). Student’s expressive language score on the PLS-4 placed her in the 25th percentile, also in the average range. Her overall score on the PLS-4 placed her in the 39th percentile, in the average range. The results of the test demonstrated that Student’s overall language functioning fell within the normal limits for a child of her age. 1 On standardized assessments, a percentile score of 99 and above is superior. A score of 85 to 98 is considered above average. Scores in the range of 16 to 84 are considered average. Scores of three to 15 are considered below average. A score of 2 or below is considered to indicate significant delay. 30. Student’s spontaneous conversational sentences were comprised of both English and Spanish words and contained contractions and some regular plurals and present progressive verbs. Ms. Ocampo noted that many of the grammatical errors Student made were consistent with what would be expected from a bilingual child or an English language learner, who is simultaneously learning to speak two languages. The fact that Student was learning to speak two languages affected her speaking abilities because there are different grammar and pronunciation rules for English and Spanish and it takes time for a child learning two languages to sort out the differences. Ms. Ocampo noted that the California Preschool Learning Foundation states that it may take anywhere from four to 10 years for an English language learner to acquire full fluency in a second language. Therefore, Student’s low scores on the Mullens were not indicative of a language disorder but rather indicative of a language difference. 31. At hearing, Mother took the position that Student was not a bilingual student or an English language learner, but rather should have been considered an English speaking child, and her assessment scores analyzed at such. Mother indicated that she believed that Student really had greater English language abilities than Spanish language abilities. However, particularly with regard to the District’s first multidisciplinary assessment, the evidence is to the contrary. Mother herself had indicated on the District intake form that Spanish was Student’s primary language. Although Student’s father and brother spoke to her in English, at the time of Student’s first assessments, Mother was speaking to Student mostly in Spanish. Significantly, Student used both English and Spanish during the standardized tests, and mixed English and Spanish in her spontaneous speech. Student also demonstrated a preference to have test instructions given to her in Spanish, although often she would answer test questions in English. The District chose tests that focused on Student’s abilities to articulate and use and understand language, regardless of the language she was speaking. The District therefore properly characterized Student as a bilingual child or English language learner. 32. Mother also seemed to believe that because Student scored higher when given assessments in Spanish than in English, it indicated that Student should have qualified for special education because of her lower abilities in English. However, Mother mistakes the criteria for qualifying for special education as a speech and language impaired student. The focus is not on how well a child speaks and understands one language over the other. Rather, the focus is on how well the child understands language and how well she speaks, regardless of the language she is speaking. As explained by all the District witnesses at hearing, eligibility is not based on a child’s ability to understand and/or speak English, but rather on her ability to understand and speak in whatever language she knows. Therefore, for a child to be delayed, she would have to demonstrate delay in both of her languages. Student performed in the average range of the PLS-4 given in Spanish. She therefore did not present an overall language delay. While it is possible for a child to have a bad test day and for the child to score lower than her abilities, a child cannot score higher than her abilities. Therefore, Student’s scores of average on her language sample and on the PLS-4 were clear indications of her average language abilities. 33. Ms. Ocampo and Ms. Mathews are well-trained and qualified to administer the assessment and test tools. They administered several standardized tests and used the tests for the purposes for which they were valid and reliable. Both SLP’s utilized multiple test tools and did not reach any conclusions based solely on one test. The tests were not racially, culturally or sexually discriminatory. The speech and language assessments complied with all requirements and were appropriate. The overall results of the assessments indicated that Student did not have a language disorder that would make her eligible for special education services. 34. The District conducted a psycho-educational assessment of Student on August 31, 2010. The assessment was administered by school psychologist Claudia Martinez, who is fluent in English and Spanish. Ms. Martinez has a master’s degree in education and has been practicing as a school psychologist for approximately eight years, seven of which have been with the District. She has assessed hundreds of children, conducting approximately 50 assessments a year. In addition to her Pupil Personnel Services credential, which permits Ms. Martinez to work as a school psychologist in California, she is also certified as a Behavioral Intervention Case Manager. 35. Ms. Martinez administered two assessments to Student: the visual reception and fine motor portions of the Mullens, and the Developmental Profile-3 (DP-3), which are rating scales which Mother completed. The purpose of the psycho-educational assessment was to gain information about Student’s developmental and pre-academic levels to determine if Student required special education preschool services. Since Mother did not indicate that Student had any psychological problems, and the District had no information from other sources that Student could have psychological issues, the District did not assess Student’s mental health. Rather, the scope of its assessments, based upon Mother’s stated concerns on the intake form, was on Student’s speech and language abilities, her adaptive/social/behavioral skills, and her pre-academic skills. 36. Mother completed the rating scales for the DP-3 on August 31, the day Student was assessed on the Mullens. Mother rated Student below average in physical abilities, which includes both fine and gross motor skills, and in cognitive abilities, which measures perception, concept development, number relations, reasoning, memory, classifications, time concepts, and mental acuity tasks. Mother rated Student as delayed in the areas of adaptive behavior, which measures independent functioning, and in communication, which measures receptive and expressive language skills. Mother rated Student as average in her socialemotional development, which measures skills related to interpersonal behaviors and the demonstration of social and emotional competence. 37. Ms. Martinez administered the non-language portions of the Mullens to Student. The Mullens is an individually administered comprehensive measure of cognitive functioning. With the exception of the gross motor scale, which can only be administered to children through age 33 months, the Mullens is designed for children up to 68 months of age. There are four cognitive scales which address visual reception, fine motor, receptive language and expressive language. The Mullens is based on the theory that a child’s intelligence is most accurately conceptualized as a network of interrelated but functionally distinct cognitive skills. 38. The visual reception scale of the Mullens tests a child’s performance in processing visual patterns through tests addressing the child’s visual discrimination and visual memory. It reflects the input side of visual organizational skills. The skills tested involve visual organization, visual sequencing, and visual special awareness, including concepts of position, shape, and size. On this subtest, Student was able to discriminate forms on a formboard and to match objects. She able to nest four cups together, but was not able to sort spoons and blocks by category. She was able to match and sort by shape, size and color. Student was also able to match pictures by looking at spatial details and was able to remember objects when hidden and then presented again. Student was also able to match letters. Student’s score on the vision reception scale was in the 62d percentile, well within the average range for children her age. 39. The fine motor scale of the Mullens provides a measure of visual motor ability. It reflects the output or expressive side of visual organization. The items require visually directed motoric planning and are designed to determine a child’s readiness for writing. The fine motor items involve motor planning and motor control. Student was able to put pennies in a horizontal and vertical slot. She was able to stack nine or more blocks vertically and was able to imitate a five block train. She was able to string small beads and imitate a four block tower. She was able to draw a circle within a circle after being shown one, and was able to draw a path using a pencil. Student was also able to use child-safe scissors to make a two-inch cut. However, she was not able to unscrew and screw a toy nut and bolt, or to draw a single circle at first. Student’s score on this subtest was in the 46th percentile, again in the average range. 40. Although Student’s scores on the visual reception and fine motor portions of the Mullens were both well within the average range, her low scores on the receptive and expressive language portions of the test brought her overall early learning composite into the below average range since that score is a composite of all four scales tested. However, when taking into account Student’s scores on the PLS-4, Student’s overall profile was that she was functioning cognitively and functionally as an average preschool child. 41. Ms. Martinez’s impressions after testing Student were that there was a large discrepancy between Mother’s view of Student’s abilities and the levels at which Student was actually performing. Based upon the results of the psycho-educational testing, Student was actually doing better than Mother perceived. Ms. Martinez observed Student before and during the assessments. Student appeared to be a bright, happy child, albeit a bit shy. Her shyness and short attention span were typical for a three-year-old child, particularly one who had never attended school and had not previously had to follow test instructions. Significantly, Student’s performance during the non-language portions of the Mullens, as well as Ms. Martinez’s observations of her during testing, did not give any indication that Student was functioning at a delayed level. 42. Ms. Martinez was trained and qualified to administer the assessment tools she used. She administered several standardized tests, and used the tests for purposes for which they were valid and reliable. Multiple test tools were utilized and no one test was used, solely, to reach a conclusion. The tests were not racially, culturally or sexually discriminatory. Prior to or during the assessment, Ms. Martinez reviewed the intake form regarding Student and the notes of Ms. Ocampo’s interview with Mother regarding Student’s background and deficits. She also spoke with Mother about 20 minutes and asked her questions during the assessment process since Mother was present for all assessments given to Student. Ms. Martinez credibly testified that Student’s score on the DP-3, which reflects Mother’s assessment of Student’s functioning in the home, was not reflective of her abilities, as Student was able to produce average scores on the visual reception and fine motor portions of the Mullens, both sections of which test a child’s pre-academic functioning. Ms. Martinez appropriately assessed Student. The overall results of the assessments indicated that Student did not have any pre-academic, adaptive, social or behavioral deficits that would make her eligible for special education services. 43. On October 14, 2010, the District convened an IEP meeting to discuss its multidisciplinary assessment of Student. The meeting was properly held within 60 days of the District’s receipt of Mother’s consent to assess Student. The District properly noticed the meeting and ensured that Mother would be able to attend and participate. The meeting was attended by Mother, supervising SLP Gina Rocque who attended as the District’s administrative designee, Diana Hogan, a District special education teacher, Kim Buskirk, a District general education teacher, SLP Joanne Mathews (since Ms. Ocampo was on maternity leave), and school psychologist Claudia Martinez. All persons required to hold legally valid IEP meetings were present. 44. Mother fully participated in the IEP meeting. She listened to the assessment reports, asked questions of the District participants, which they attempted to answer to the best of their ability, and contributed her own observations and reasons why she believed Student qualified for special education services. As discussed below, the District was so responsive to Mother’s fears that Student was delayed, that it ultimately decided to conduct a second complete multidisciplinary assessment of her to address Mother’s concerns. 45. The information before the IEP team on that day included the assessments described above, the reports from the interviews with Mother, the assessors’ observations of Student, and the oral contributions of all the participants at the meeting. The District participants unanimously concluded, based on the assessments and their own experiences with preschool children, that Student was not eligible for special education because of a speech and language deficit, or because of any deficits in her pre-academic skills. Their assessments and experience fully supported that conclusion. 46. Ms. Martinez and Ms. Mathews each presented and discussed their respective assessments. Ms. Mathews and Ms. Rocque,2 interpreted the results of Ms. Ocampo’s assessments in her absence; both are experienced SLP’s and were qualified to interpret the results of another SLP’s assessment. Ms. Mathews explained that Student’s language development, based upon the results of her language sample and the PLS-4, placed Student in the average range for children her age. Ms. Martinez explained that Student’s development, based upon the results of the Mullens and observations of Student by the assessors, was also age appropriate in spite of what Mother saw at home. 47. The District team members noted that there was a discrepancy between Mother’s expectations for Student at the time she was assessed, and what was expected for a child of Student’s age. Ms. Hogan, who was a preschool teacher for 15 years before obtaining her credential as an early childhood special education teacher, had reviewed all assessment data on Student. She felt that Student was right on schedule developmentally for a preschool child who was three and a half years old. Ms. Hogan was impressed that Student could hold a pencil correctly and was able to scribble. The fact that Student was also attempting to count was also indicative that she was developing correctly. Although Mother believed that Student should have been able to count to 10, it was not expected that a child of three would be able to do so. 48. The District team members determined that Student was demonstrating appropriate adaptive, academic, language, articulation and phonological skills given her age, her status as an English language learner, and her lack of prior schooling. They attributed Student’s few language delays to her status as an English language learner rather than as an indication that Student had a language disorder. Therefore, the District determined that Student did not qualify for special education services at that time. The District team members counseled Mother to continue monitoring Student. They advised that if Student did not continue to progress in her skills, Mother should again contact the District for further assessment. 49. Mother, however, was still extremely concerned about Student’s speech and language and pre-academic deficits. She declined to sign the IEP that found Student ineligible. In light of her strong objections to the District’s determination that Student was not eligible for special education services, and to allay any doubts as to her present capabilities, the District decided to conduct another multidisciplinary assessment of Student. The District presented Mother with another assessment plan, which she signed and returned to the District on November 4, 2010. 2 Ms. Rocque’s qualifications are discussed below. 50. The District re-assessed Student on December 9 and 13, 2010, and on January 10 and 11, 2011, in order to gain more information about Student’s strengths and weaknesses and determine again whether she was eligible for special education services. The speech and language portions of the assessment were administered by Ms. Ocampo. Ms. Martinez completed the psycho-educational portion of the assessment. An additional assessment participant was Donna Ruiz, Student’s general education preschool teacher at Head Start. Student began attending the Head Start program on approximately September 20, 2010. By the time the second assessment began on December 9, 2010, Student had been at school for about three months. She attended school three and a half hours a day. 51. Additionally, Gina Rocque was present for the second set of assessments and also observed Student at her Head Start classroom. Ms. Rocque has a bachelor’s degree in communication disorders and a master’s degree in communication disorders and speech science. She is licensed as an SLP in California and Colorado, and has her Three C’s certification. She has some 15 years of experience working with children with disabilities, primarily in the area of speech and language. She has administered over 500 assessments to children with suspected speech and language deficits. In addition to working as an SLP with the District, Ms. Rocque is a Special Education Coordinator overseeing and supervising District special education programs. She was present for Student’s assessment and participated in her observation as both an SLP and as a supervisor. 52. The District administered the following standardized assessments: the Developmental Indicators for the Assessment of Learning-Third Edition (DIAL-3); the DIAL-3 Parent Questionnaire; the GFTA-2; the KLPA-2; the Clinical Evaluations of Language Fundamentals Preschool-2, in both English and Spanish (CELF-P2), a Spanish Articulation Measure, and the Boehm Test of Basic Concepts-3 (Boehm-3). The District also obtained a language sample from Student, did an oral motor examination, observed Student at school and during the assessments, interviewed Mother and Student’s Head Start teacher, and did a records review. 53. Ms. Ocampo continuously observed Student’s speech over the course of each assessment she administered. Additionally, she transcribed a language sample from Student of 50 utterances on December 9, 2010, the first day of the District’s second battery of assessments. During this language sampling, Student produced a Mean Length of Utterance of 3.82 words, which was typical of her then-present age level of just under three years, eight months. Ms. Ocampo noted that Student’s sentences were varied and complex, utilizing age appropriate word markings including present progressive verbs (such as “it not working”), past tenses (such as “I kicked that one”), and contractions (such as “It’s gone). Ms. Ocampo also noted that in comparison to the language sample she had taken of Student on August 31, 2010, Student was now using far less Spanish, which was consistent with Mother’s indication that Student now spoke English more at home. Student’s previous language sampling had indicated a Mean Length of Utterance of 3.24 words. Her increase to 3.82 words over less than four months was significant progress and indicated that her spoken language was developing at an appropriate rate. Student’s speech intelligibility had also improved; her speech was about 83 percent intelligible. The articulation errors she made, such as using a “d” for a “th” sound, were appropriate for her age at the time. 54. The Boehm-3 is a standardized measure designed to assess young children’s understanding of the basic relational concepts that are important for language and cognitive development, as well as for later success in school. The concepts are fundamental to understanding directions, classroom routines, and are the basis for emergent literacy. Ms. Ocampo administered the Boehm-3 to Student on December 9, 2010, in both English and Spanish. Student demonstrated understanding of many concepts, such as top, same, smallest, largest, empty, and in front, in both English and Spanish. She demonstrated difficulty with some concepts, such as next to, up and different, in English. Student demonstrated difficulty with different concepts, such as down, another, and both, in Spanish. In all, Student demonstrated a better grasp of concepts in Spanish than she did in English on this particular assessment. Her score on the Spanish version placed her in the 55th percentile, well into the average range. Her score in English placed her in the 20th percentile, still in the average range, but much lower than her score in Spanish. Her average scores demonstrated that she had an understanding of concepts appropriate for children of her age. 55. Ms. Ocampo administered the Spanish Articulation Measures to Student on December 13, 2010, to evaluate her articulation skills in Spanish. Student was unfamiliar with many of the Spanish words for pictures she was shown and often had to be prompted to say the word in Spanish. She would often give the English label for the picture she was shown. Even when the word was modeled, Student only correctly produced the words for 10 of the 40 test items. Her speech production in Spanish contained several sound omissions or substitutions that were not expected for someone her age. However, as discussed below, Student was able to correctly make most English sounds. Given the fact that she was now speaking more English in conversation, Ms. Ocampo did not find Student’s inability to correctly produce all Spanish sounds significant. 57. Student therefore completed a total of six subtests of the CELF-P2 on January 10, 2011, in addition to two other evaluations, for a total of two and a half hours of testing. Ms. Ocampo and Ms. Martinez noted that when Student came into the office that day to begin her assessments, she appeared tired and not her usual self. She yawned a lot, put her head on the table frequently, and her eyes appeared red. Unlike previous days of testing in December, Student was somewhat quiet and a reward system had to be implemented in order for her to participate in the assessment process. Ms. Ruiz, Student’s teacher, had been informed that Student was out sick that day. At hearing, Mother explained that Student had been sick the prior few days, but by January 10 had recovered. Nevertheless, even if she had recovered from the illness, Student was still showing signs of fatigue because of it. Ms. Ocampo explained that normally she would have discontinued the testing. However, Mother had cancelled a previously scheduled day of testing and the 60-day deadline to complete the assessments was approaching, so Ms. Ocampo and Ms. Martinez proceeded to administer the assessments to Student. Ms. Ocampo believes that Student’s fatigue may have contributed to her low scores on the subsets of the English portion of the CELF-P2 that Student completed that day. 58. The sentence structure subtest of the CELF-P2 is used to evaluate the ability of a child to interpret spoken sentences of increasing length and complexity. The child is asked to identify the picture that best illustrates the sentence read by the assessor. Student’s scores on the Spanish subtest placed her in the 63rd percentile, well into the average range. Her score on the English subtest placed her in the 37th percentile, also in the average range. 59. The word structure subtest evaluates a child’s knowledge of grammatical rules. The child is asked to complete a sentence based on a picture she is shown. Student’s scores in both English and Spanish placed her in the fifth percentile, in the below average range. For the Spanish version of this subtest, Student often answered in English. Unlike other tests or other portions of the CELF-P2, answering in English rather than in Spanish does not give the child full credit. However, Ms. Ocampo believed that Student’s lower scores on this grammar sections were not significant because second language learners often make the same type of morphological and grammatical errors Student demonstrated. 60. On the expressive vocabulary subtest of the CELF-P2, a child is asked to label pictures of people, objects, and actions. On the Spanish version of this subtest, if the child answers in English, as Student sometimes did, the response is counted as a correct response. Student scored in the second percentile on the English portion of the test, which is below average, and in the 63d percentile on the Spanish portion, which is in the average range. 3 In the assessment report, Ms. Ocampo inadvertently stated that she gave four and a half Spanish subtests on January 11. However, she correctly indicates in the report the three and a half subtests that were actually administered that day. 61. The concepts and following directions subtest is only given in English to children under four years old. This subtest is used to evaluate a child’s ability to interpret, recall, and execute oral commands. Student’s score was in the ninth percentile, which was below average. 62. Student scored in the second percentile on the Spanish version of the recalling sentences subtest and in the fifth percentile on the English version, both of which are below average scores. The recalling sentences subtest is used to evaluate a child’s ability to repeat sentences of various lengths and complexities without changing word meanings or structure. 63. The last subtest on both the English and Spanish versions of the CELF-P2 given to Student was basic concepts, which tests a child’s knowledge of things like the relationship between dimension and size or number and quantity. After listening to a description, the child is asked to point to the picture that best describes the concept. Student’s score on the English portion of this subtest placed her in the 16th percentile. Her score on the Spanish portion placed her in the 50th percentile. Both scores placed Student in the average range although her Spanish score was higher. The basic concepts subtest evaluates abilities similar to the Boehm-3 assessment. Student’s scores on this subtest were very similar to the scores she obtained on the Boehm-3. 64. The scores Student received on the subtests of the CELF-P2 are then used to calculate scores for her core language, receptive language, expressive language, language content, and language structure abilities. Student’s scores in the core language index placed her in the sixth percentile in English and the ninth percentile in Spanish, both slightly below average. Her scores on the receptive language index placed Student in the 16th percentile in English and the 58th percentile in Spanish, both in the average range. Student’s expressive language scores were in the second percentile in English, significantly delayed, and in the ninth percentile in Spanish, below average. The subtests used to derive Student’s score on the English index were all administered on January 10, when Student showed signs of fatigue. This contributed to Student’s overall low performance on these subtests. 65. Student scored in the fifth percentile on the English portion of the language content index, which is in the below average range, and in the 55th percentile on the Spanish portion, which is in the average range. On the language structure index, Student’s scores placed her in the eighth percentile in English and in the ninth percentile in Spanish, both of which are in the below average range. 66. Ms. Ocampo explained that studies have shown that normally, a child’s results on the CELF-P2 should correlate to her results on the PLS-4 since both tests measure receptive, expressive and overall language communication skills. Student’s previous results from the PLS-4 administered on October 12, 2010, which she was permitted to answer in either English or Spanish, indicated that she was demonstrating age-appropriate language communication skills. Because Student’s scores on the CELF-P2, particularly on the subtests given on January 10, 2011, were so much lower than her scores on the PLS-4, Ms. Ocampo explained that Student’s fatigue was the likely cause of the discrepancy. 67.Ms. Ocampo re-administered the GFTA-2 on January 11, 2011, to review Student’s articulation skills. Student’s scores placed her in the 49th percentile and at an age equivalency of three years, nine months, both in the average range. At the time of this test, Student was just shy of three years, nine months old. She was therefore producing sounds at an age appropriate level. As Student had previously demonstrated during her first assessments, even though she had not been able to articulate some sounds during administration of the GFTA-2, such as omitting the “t” at the end of the word “carrot,” Student had properly articulated the sounds during her language sample. Other sound errors Student made were developmentally appropriate for her age and gender. Significantly, Student’s articulation had improved over the four and a half months since the first administration of the GFTA-2. While Student had omitted many age appropriate sounds on the August 31, 2010, administration of the test, such as b, g, k, f, and d in various word positions, she was able to articulate those sounds during the second administration of the test. 68. As she had done in Student’s first assessments, Ms. Ocampo used Student’s results on the GFTA-2 to obtain Student’s phonological processes scores on the KLPA-2. In the area of cluster simplification, which is age appropriate to age four, Student had only used the process 27 percent of the time. She deleted final consonants, which is age appropriate to age three, only nine percent of the time. She reduced syllables, which is age appropriate to age four, only eight percent of the time. Stopping fricatives and affricatives (such as using a “d” sound instead of a “th” sound) is appropriate between ages three and a half and five. Student only used that process six percent of the time. Finally, in the process of “liquefying” sounds (such as making a “y” sound for a double “l” sound), which is age appropriate to age five for some sounds and to age seven for others, Student only used the process six percent of the time. In all of the phonological processes, Student’s performance had improved significantly from the first time the KLPA-2 was administered to her. On this second administration, Student scored in the 57th percentile, at an age equivalent of three years, 11 months, slightly above her expected age level. Student’s improvement on the GFTA-2 and resulting improvements on the KLPA-2 had been accomplished without any special education interventions or outside speech therapy. 69. The DIAL-3 was administered to Student in English on December 9, 2010, and in Spanish on December 13, 2010. The language behaviors portion of this assessment includes sections on personal data, articulation, objects and actions, letters and sounds, and problem solving. Student’s scored in the 21st percentile on the English version, placing her in the average range. She scored in the fifth percentile on the Spanish version, which placed her in the below average range. Since Student was speaking English at school and mostly English at home, the differences in her scores was expected. 70. As the ALJ has previously found in the context of the District’s first assessment of Student, Ms. Ocampo was qualified to administer the assessments she chose for Student. She administered several speech and language assessments, including standardized tests. She used the tests for the purposes for which they were valid and reliable. Ms. Ocampo utilized multiple test tools and did not reach any conclusions based solely on one test. The tests were not racially, culturally or sexually discriminatory. Student’s second speech and language assessments complied with all requirements and were appropriate. 71. Donna Ruiz, Student’s Head Start teacher, also indicated to the District assessors that Student had progressed substantially in the four months she had been at school. Although Student had been quiet and shy initially, she gradually acclimated to the school setting and, by the time of the interview with Ms. Ruiz, was fully interacting with her peers and the adults in the classroom. Student was able to verbally articulate her feelings, was able to ask for things, and was able to articulate things about other children. Ms. Ruiz could understand Student’s speech about 75 percent of the time, which she felt was about average for a three and a half year old child. 72. School psychologist Claudia Martinez administered the non-language portions of the DIAL-3 to Student, including a ratings scale questionnaire completed by Mother. The non-language portions of the DIAL-3 assessment address motor and conceptual abilities of children. The parent questionnaire addresses self-help and social development. Overall, Student scored higher on the English version of the assessment than she did on the Spanish version. 73. The motor portion of the DIAL-3 assesses gross motor capabilities such as catching balls, reaching for objects, cutting with scissors, and copying forms and letters by writing on paper. Student scored in the 89th percentile in both English and Spanish on this portion of the test, placing her in the above average range. 74. On the concepts portion of the DIAL-3, Student was asked to identify body parts, which she did well in both languages, although her ability in English was better than her ability in Spanish. She was also asked to identify colors, which she did poorly in both languages. Student was better at identifying positions, such as up and down, in English than in Spanish. She could rote count a few numbers in both languages. She was able to identify nine out of 12 concepts (such as longest, coldest, day, fat) in English and six out of 11 in Spanish. While Student was able to expressively identify a circle in English, she could only receptively do so in Spanish. Overall, Student’s score on the concepts portion of the DIAL-3 was in 19th percentile in English, in the average range, but only in the 11th percentile in Spanish, which was in the below average range. 75. On the assessment portion of the DIAL-3, which includes the motor, concepts, and language scales, Student’s overall score on the English version was in the 38th percentile, placing her in the average range as compared to other children her age. Her score on the Spanish version placed in her the 21st percentile, also in the average range, albeit lower than her score on English version. 76. Mother’s scores on the DIAL-3 questionnaire again placed Student in the significantly delayed range for self-help development and in the below average range for social development. As discussed below, Mother’s perception of Student’s development was markedly different from what her teacher, Donna Ruiz, was seeing in the classroom and different from what Ms. Martinez and Ms. Rocque noted when they observed Student in her classroom on January 12, 2011. 77. There was also a discrepancy between Mother’s scores on the DIAL-3 and the scores Student obtained on the Adaptive Behavior Assessment System-Second Edition (ABAS-II). The ABAS-II consists of rating scales which are designed to measure a child’s behaviors in different environments. Ms. Martinez had Ms. Ruiz complete the teacher’s form of the ABAS-II. 78. The conceptual portion of the ABAS-II measures a child’s communication, functional pre-academic, and self-direction abilities. Ms. Ruiz found that Student’s communication skills were in the average range. Student looked directly at others when talking to them, laughed at appropriate times, raised and lowered her voice appropriately, stated things clearly enough for others to understand, responded yes or no as appropriate to questions, and could point to objects in the classroom when asked to identify them. Student also was able to sing all or parts of songs, could tell others about her favorite activities, and asked questions of her peers. Student could use simple sentences containing a noun and verb, used plurals in her speech, and sometimes used past tenses. Ms. Ruiz indicated that Student was doing well communicating with her peers and with the adults at school. 79. In the area of functional pre-academics, Ms. Ruiz also scored Student as average. Student was able to point at pictures in a book when asked, held a pencil properly, could state her age, attempted to imitate simple drawings such as a line or circle, and could sort three or more objects by color and size. Student could partially sing the alphabet song and recite nursery rhymes if others were doing so. Student was also attempting to write two letters of her name. 80. Ms. Ruiz rated Student as above-average in the area of self-direction. She indicated that Student was able to self-direct to an activity for more than five minutes without demanding an adult’s attention. She was also able to make a choice between foods offered to her to eat, tried new activities, would comply with directions readily, resisted acting out aggressively when angry or upset, and would not easily become discouraged even when working on hard tasks. Student also was able to ask permission when needed, could work independently, followed routines, put away things at the proper time, and was able to choose a school activity when given a choice. 81. Overall, Ms. Ruiz’s scores placed Student in the 63d percentile on the conceptual portion of the ABAS-II, which is well into the average range. 82. The social portion of the ABAS-II measures a child’s leisure and social skills. Ms. Ruiz rated Student in the average range in both areas. Student could appropriately play with toys and play on the playground, both on her own and with other children. She would join other children as well as ask others to join her in play. Student was able to wait her turn where appropriate and follow the rules of games. Student was successful in her leisure activities at school. In the area of social skills, Student also was performing as expected for a child of her age. For example, Student laughed and smiled appropriately, showed a sense of humor, responded appropriately to adults, would comfort other children when they were sad, said thank-you when appropriate, sought friendship with peers, and helped other students when they could not do something, such as opening a milk carton. 83. Although Mother’s rating of Student was below average in the area of social development on the DIAL-3, Student’s overall percentile score on the social portion of the teacher’s ratings on the ABAS-II was in the 61st percentile, in the average range. For example, where Mother saw a child at home who could not accept limits without becoming upset and who would not stop activities when asked, Ms. Ruiz reported that at school Student was always well-behaved and always followed directions. As noted below, Student’s behavior at school was quite different than what Mother observed at home. 84. The practical portion of the ABAS-II teacher’s form measures a child’s abilities in the areas of school living, health and safety, and self-care. Ms. Ruiz rated Student as above-average in the area of school living. Student was able to remove food items from a container and showed concern if she spilled something. She assisted other students in putting away things, would pick up and throw away trash and did not deliberately make messes, did simple errands when requested, was careful with toys and books in the classroom, and offered to help her teacher with tasks. Student put items in their proper places, showed respect for the property rights of others, and would help her teacher with a variety of tasks. 85. In the area of health and safety, Ms. Ruiz rated Student as average. At school, Student was able to tell others about minor injuries and if she was not feeling well. Student would not wander away when outside, knew to put on a sweater or coat if it was cold, and would tell a teacher if she was too hot or cold. Student was also able to follow safety rules when told them by her teachers. 86. Overall, Ms. Ruiz rated Student as average in the area of self-care. Here, her observations of Student at school were in direct contrast to Mother’s observations of Student at home. For example, Mother rated Student as significantly delayed on the DIAL-3 because at home Student was not toilet trained, could not unscrew a bottle cap, and only put her toys away sometimes. At school, however, Student appeared to be willing to do things she would not do at home. For example, although she wore pull-ups (underpants made of paper diaper material) to school, Ms. Ruiz felt they were unnecessary because Student stayed dry all day. If she had to use the bathroom, she would tell Ms. Ruiz “I have to go pee-pee.” Student used the toilet independently at school, including wiping herself. She also was independently able to wash and dry her hands. Additionally, Student was able to feed herself, ask for food or drink when hungry or thirsty, and was able to button things on a practice board and dolls, even though she sometimes needed assistance with her own clothing. Overall, Student was able to independently take care of her needs at school. 87. Student’s aggregate score on the practical portion of the ABAS-II was in the 88th percentile, placing her in the above average range. Overall, Student’s composite score on the ABAS-II was in the 68th percentile, well into the average range. She was independent at school, communicated well with other children and her teachers, and participated appropriately in classroom and playground activities. Student was successful in all aspects of preschool without the need of any interventions, modifications, accommodations, or supports. Ms. Ruiz has been a credentialed preschool teacher for 24 years. She has worked with hundreds of preschool children, about 40 to 50 of whom have had some type of disability. She has previously referred children for a special education assessment when a child was having difficulties accessing the preschool curriculum or interacting with peers. Additionally, Ms. Rocque has done outreach at Ms. Ruiz’s Head Start school to instruct in what to look for in a child who might be eligible for special education. Ms. Ruiz saw nothing in Student’s functioning at school that made her believe that Student could not interact appropriately with her teachers or peers, or access the preschool curriculum and progress in it. 88. Ms. Martinez, Ms. Ocampo, and Ms. Rocque observed Student during her four days of assessment. Ms. Martinez and Ms. Rocque also observed Student in her Head Start preschool classroom on January 12, 2011. 89. During their observations of Student during the assessment process, the three District assessors noted that Student sat appropriately, attended to tasks, and followed instructions. Ms. Ocampo also spent some time playing with Student and noted that Student played appropriately with the toys. During the assessments, Student demonstrated an ability to use four to six words in a sentence, although she still occasionally mixed a Spanish word in with a sentence that was otherwise in English. This tendency is normal for an English language learner who is moving toward using English as her primary language. 90. During their one-hour observation of Student at her school, Ms. Rocque and Ms. Martinez noted that Student interacted appropriately with her classmates. She talked to them and got their attention by calling them by name or saying “hey.” She played “house” by feeding a baby doll and pretending to cook and serve food. Student talked with the other children during play as well. When asked by her teacher to get something the teacher needed, Student responded by getting the correct object. During snack time, Student assisted the teacher by handing out placemats and responded correctly to the teacher’s question as to how many more she needed. Student placed spoons on the “green” table when directed to do so, indicating she could distinguish colors. Student realized she had an extra spoon, and verbally informed the teacher of that fact. Student then sat down and was able to open her cereal bowl, pour milk into it, and feed herself. When she saw another child struggling to open her cereal bowl, Student assisted her. Throughout the observation, Student smiled and laughed, and participated appropriately in the class activities. 91. Based upon all the information gleaned through the assessment process, including observations of Student during assessment and at school and interviews with Student’s teachers, Ms. Ocampo and Ms. Martinez found that Student was performing overall at expected levels in pre-academics and speech and language development. They noted the progress Student had made without interventions since beginning school. They found that her speech and language abilities were appropriate given Student’s level of familiarity with English and her status as a child who was an English language learner. Ultimately, Ms. Ocampo and Ms. Martinez again found that Student did not qualify for special education services in any area of suspected need. 92. The District convened another IEP meeting for Student on January 14, 2011. Discounting the days the District was closed during its winter break, the meeting was held timely, within 60 days of the District’s receipt of the signed assessment plan. All required personnel attended these meetings. Mother attended the meeting. Ms. Rocque was again present as the District’s administrative designee. Both Ms. Buskirk and Ms. Ruiz were present as general education teachers. Ms. Hogan was present as the special education teacher. Ms. Ocampo and Ms. Martinez attended to present their assessment findings. Ms. Martinez again acted as interpreter during the meeting. 93. Ms. Martinez and Ms. Ocampo presented all the findings from their assessments. They noted the progress Student had made since beginning school. They informed Mother that overall Student was using more English than Spanish at school, as Mother had indicated was happening at home. They noted that Student’s progress at school had occurred without any direct intervention. Ms. Ruiz reiterated that Student was able to access her general education preschool class appropriately and did not appear to have any more difficulty than the average child her age. Overall, Student’s language and social development skills were age appropriate and permitted her to be successful in school. 94. The first session of the IEP meeting lasted three hours. The meeting reconvened on February 7, 2011, so that the team could finish reviewing the assessments and discuss the findings. The same team members were present with Ms. Martinez again acting as translator. The District team members acknowledged that Mother’s rating scales of Student indicated that Student was functioning in the below average range at home in the area of self-help. However, they emphasized that what Mother was seeing at home was not occurring at school. While Mother had difficulty understanding Student’s speech at home, those difficulties were not occurring in the school setting. Likewise, although Mother noted that Student was very dependent at home, was just beginning to be toilet trained, and that she cried a lot, she was a different child at school. Ms. Ruiz indicated that Student acted independently, was able to use the bathroom independently, did not cry or become frustrated in the classroom, and interacted appropriately with her classmates and teachers. Overall, Student’s adaptive/self-help skills were average when compared to her peers. 95. The District team members again answered all of Mother’s questions. Because Mother still had concerns about what she perceived to be Student’s lack of language development, the District team members again reviewed the language portions of the multidisciplinary assessment so that they could clarify the test results and what those results indicated. Additionally, based upon Mother’s input, more background information was added to the multidisciplinary report. 96. Mother reiterated her concerns about Student’s speech and the fact that she was not able to understand her all of the time. The District IEP team members responded that at school and during assessments Student was able to communicate so that teachers, classmates, and the assessors were able to understand her. They also indicated that Student was successful academically, socially, and developmentally in her general education classroom, and that she was able to successfully interact and communicate with peers and adults. 97. The District team members also explained to Mother that Student was on pace developmentally according to the Preschool Learning Foundations published by the California Department of Education (CDE). This document lists developmental milestones expected of preschool children. The areas covered are listening and speaking, reading, writing, social emotional development, and mathematics. Significantly, the lowest age indicated on the document is what a child is expected to do at 48 months of age. Student was only three years, eight and a half months old at the time of her latest assessments on January 11, 2011. The District team members pointed out that Student had already met most of the milestones indicated by CDE for children 48 months old. Many of Mother’s expectations for Student were not expected until a child was at least 60 months old. 98. The District IEP team members found that overall, based upon the multidisciplinary assessment and Student’s performance in her general education Head Start classroom environment, Student demonstrated appropriate pre-academic, social, self-help, motor, and speech and language skills. Based upon the assessments and reports from Mother and Ms. Ruiz, Student also was acquiring English as a second language at an appropriate pace. 99. The District IEP team members therefore determined that based upon the results of the assessments and her present levels of performance, including her ability to access a general education preschool classroom without supports, Student did not qualify for special education eligibility or services. Mother did not agree and did not sign the IEP. 100. At hearing, Mother testified and presented the testimony of three of her friends regarding Student’s difficulties with receptive and expressive speech and with behavioral issues she was having at home. 101. Mother’s friend Yessica Vazquez has known Student’s family for about 14 years, and therefore has known Student since she was born. She has baby sat for Student, sometimes for up to five hours at a time. Ms. Vazquez stated that she has always had difficulty understanding Student’s speech. Sometimes Student could understand what Ms. Vazquez was saying to her, other times she could not. Student has had a particularly difficult time understanding Spanish, so Ms. Vazquez has begun speaking to her more in English. Student also has difficulty articulating what she wants. Ms. Vazquez cannot understand her all of the time. She also said that when Mother speaks to Student in Spanish, Student now answers predominantly in English. Ms. Vazquez indicated that her own young daughter has difficulty understanding Student’s speech. 102. Genaro Garcia has known Student and her family for over two years. He has interacted with Student many times. He could not understand her when she attempted to speak to him in Spanish. Lately, Student has been speaking only in English. She does not appear to understand Spanish any longer and will only respond if he speaks to her in English. 103. Silvia Aramburo is another friend of Mother’s. She has known Student and her family for over three years. She reiterated Mother’s concerns about Student’s sadness at home. She said Student cried a lot after her sister died and cries when Mother has to leave her in Ms. Aramburo’s care because Student thinks Mother will not return. Ms. Aramburo stated that Student’s speech was difficult to understand and that no one can understand Student when she speaks in Spanish. She also stated that Student was presently speaking mostly in English. 104. Mother testified to the difficulties she has had understanding Student’s speech. She expressed genuine concern with what she sees as deficits in Student’s adaptive development, her receptive and expressive speech, and with Student’s social development. Mother has made extraordinary efforts over the last year or so to assist Student with her academics and speech by taking classes in how to assist young children learn, and by buying books and materials directed at assisting children with their pre-academic skills. Mother has also continued to attend school herself so that she can become educated to address Student’s weaknesses and so that she can improve her own English speaking abilities, particularly in light of Student’s preference for English. 105. Mother believes that Student is not bilingual because Student does not appear to understand much Spanish and will only answer in English, even where a question is posed to her in Spanish. Mother therefore believes that the District’s assessments are incorrect because the tests were done in both English and Spanish. She also questions the results since Student’s scores were sometimes better in Spanish, which contradicts what she sees at home as English being Student’s primary language. 106. Finally, Mother expressed concerns about Student’s emotional state. Since the tragic death of her older daughter, Student has cried a lot, has been afraid at night, and has not wanted to be at their home. Although this has dissipated somewhat in the year and half since the sister’s death, Student still shows signs of distress when she cries when Mother leaves her in someone else’s care, afraid that Mother will not return home. 2. The District contends that it properly and appropriately assessed Student in all areas of suspected disability after Mother requested an assessment on June 3, 2010. It contends that its assessments, which included formal and informal measures, interviews, observations of Student, and review of all information to which it had access, were valid and resulted in a finding that Student was not eligible for special education services either due to a speech and language impairment or due to any pre-academic deficits. The District asserts that any deficits in Student’s speech and language abilities were the result of language differences due to Student’s status as an English language learner, rather than the result of a language disorder. The District further contends that Student’s pre-academic and adaptive skills were age-appropriate at the time she was assessed and that Student therefore was not eligible for special education under any other eligibility classification. The District therefore requests an order that the decision of its IEP members in October 2010 and February 2011 that Student was not eligible to receive special education services is supported by the evidence and should be validated. 3. Student contends that she required special education services during the entire time period at issue in this case due to her speech and language deficits. She asserts that she is not a bilingual student and is not an English language learner, but rather is a monolingual English speaker. Therefore, any deficits found during the assessment process are due to a language disorder rather than to a language difference. Student also contends that she had pre-academic and adaptive behavior deficits that should have qualified her for special education services. She therefore requests an order finding that she is eligible for services. 4 All references to the Code of Federal Regulations (abbreviated as C.F.R.) are to the 2006 edition. 15. As discussed above in the Legal Conclusions, a child qualifies for special education and related services under the eligibility category of language and speech impairment if his or her language abilities are not commensurate with his or her chronological age or if a discrepancy exists between the child’s ability and language performance. To be eligible for special education services, Student must require instruction or services that cannot be provided with modification of the regular school program. Student may qualify for special education services on the basis of a speech and language impairment if she has one of the following disorders: articulation disorder, abnormal voice, fluency disorder, or language disorder. Student may have a language disorder if she has an expressive or receptive language disorder, which is shown by scoring at least 1.5 standard deviations below the mean, or below the seventh percentile, for her chronological age or developmental level, on two or more standardized tests in one or more of the following areas: morphology, syntax, semantics or pragmatics. 19. Mother believes that Student is far behind her peers in pre-academic and adaptive skills. She testified that Student cannot write any letters of the alphabet, that she cries a lot, and that she is not yet toilet trained. Mother’s rating scales on both assessments indicated that Student was performing below average or was significantly delayed in many adaptive areas. 20. However, while Student’s performance at home in the areas assessed may have been low, Student’s demonstrated much higher abilities at school. In the area of adaptive skills, Student was on par with her peers. Student was able to use the bathroom independently at school, including wiping herself, and remained dry for the entire school day. She also washed and dried her hands independently. She was able to button some of her clothes. Student interacted appropriately with classmates and teachers during class time and during play time. She could open boxes, pour her milk, and feed herself. She helped other students who had difficulties doing some of the tasks she was able to do herself. Student assisted the teacher in class as well. Student was able to request things and make her needs known. There was nothing about Student’s functioning in class that indicated she was not able to participate without supports. 22. As discussed above in the Legal Conclusions, to be eligible for special education services, Student must require instruction or services that cannot be provided with modification of the regular school program. Student’s scores on the majority of the assessments indicated that she was at appropriate levels given her age and the fact that she has been attempting to communicate in two different languages. Most important is the fact that Student is performing successfully in a general education environment. She has appropriate relationships with peers. Ms. Ruiz, who is not a District employee and therefore had no reason to acquiesce to the District’s position if she disagreed with it, was steadfast in her testimony that teachers and classmates were able to understand Student’s speech the majority of the time and that Student was performing at expected levels for a preschool Student. Ms. Ruiz is familiar with the special education referral process, has referred students in the past, but did not believe that Student required any supports to access the preschool curriculum. 23. Ms. Ocampo, Ms. Rocque, and Ms. Martinez, all of whom have worked with bilingual students and English language learners for many years, including such students with disabilities, persuasively demonstrated that those language areas in which Student sometimes demonstrated delay, was due to the fact that Student was learning two languages at once. As noted above, Student’s scores on speech and language assessments were sometimes higher in English and sometimes higher in Spanish. During her first assessment, Student mixed Spanish consistently with English. By the time of the second assessment, Student had chosen English as her predominant language and was using much less Spanish. By the time of the second assessment, Student had also been attending preschool in a class taught in English. Her assessment scores and spoken language sample were better than on the first assessment, which was likely due to her exposure to a classroom setting, which included exposure to other children and to more English-speaking adults. 1. The District appropriately assessed Student in all areas of suspected disability. 2. At the time of the IEP meetings held on October 14, 2010, and January 18 and February 7, 2011, Student was not eligible for special education services under the category of either speech or language impairment or because of any deficits in pre-academic, social/behavioral, or adaptive skills. Education Code section 56507, subdivision (d), requires a decision to indicate the extent to which each party prevailed on each issue heard and decided. Here, the District prevailed on all issues.